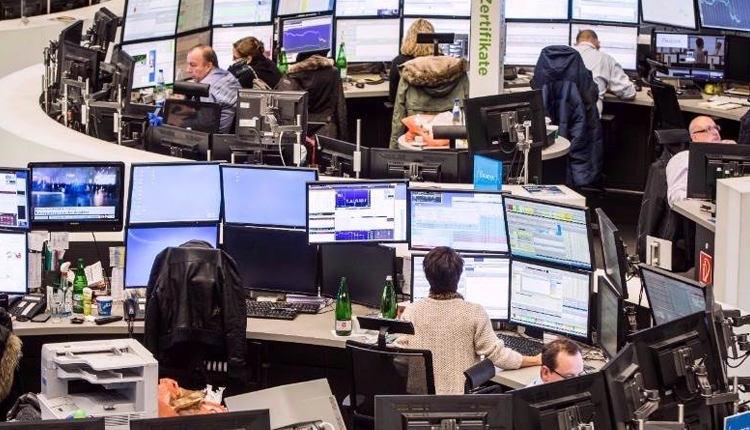 European markets closed in mixed territory Monday, as market participants monitored another flurry of corporate earnings results. The pan-European Stoxx 600 closed provisionally barely changed, with sectors and major bourses pointing in different directions. Europe’s autos stocks, with their heavy exposure to China, led the losses on Monday, down more than 1 percent. Faurecia, Valeo and Hella all tumbled around 3 percent. European banks were also under pressure, on the back of earnings news. Julius Baer fell over 4 percent after reporting results that missed expectations. Spanish lenders Caixabank and Banco Sabadell dropped 4.5 percent and 4.8 percent respectively, after multiple brokers cut share price targets on the back of disappointing earnings. Looking at individual stocks, Germany’s Wirecard surged to the top of the European benchmark during morning trade. It comes after the payments company said a law firm it appointed made no conclusive findings of criminal wrongdoing by any of its employees. Shares of Wirecard jumped almost 14 percent on the news. Meanwhile, Ireland’s Ryanair fell almost 2 percent following the release of its latest quarterly earnings. Europe’s biggest budget airline reported a 6 percent drop in fares in the final three months of 2018 and warned overcapacity would likely continue to drive prices lower, albeit at a slower pace than forecast. On the data front, growth in Britain’s construction industry dipped to its lowest level since March 2018. Official data showed U.K. construction PMI fell to 50.6 in January, down from 52.8 in December. The business survey results showed uncertainty surrounding Brexit had dragged on the construction industry, most notably with commercial building work. On Wall Street, stocks fell as investors awaited earnings reports from the likes of Google parent Alphabet and biotech firm Gilead Sciences. Market focus is largely attuned to economic data. A U.S. Labor Department report on Friday showed nonfarm payrolls jumped by 304,000 last month — the largest gain since February 2018. The jobs report, along with better-than-expected manufacturing figures, pointed to underlying strength in the world’s largest economy.